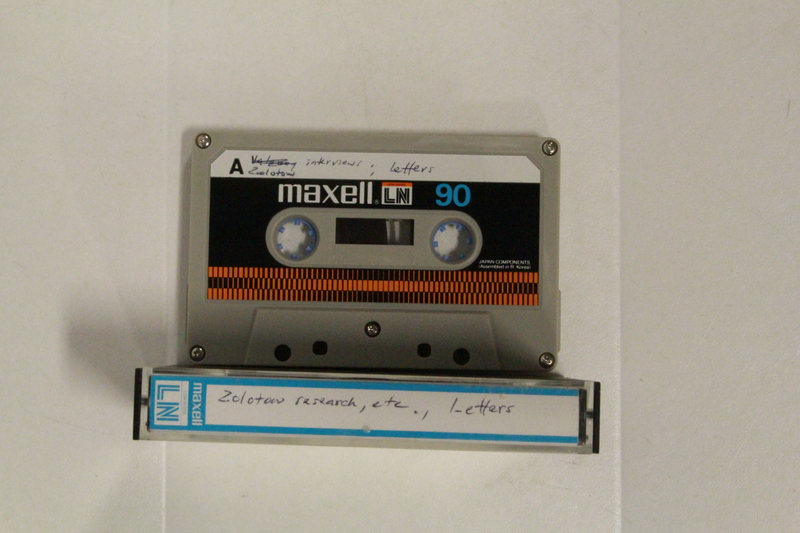 Tate Archives & Special Collections is pleased to announce that over 170 interviews, originally recorded on audio- and microcassette, are now available in digital form. Due to privacy concerns, researchers are required to use these sources in Tate Archives & Special Collections, The Ames Library, or make special arrangements with the University’s archivist (archives@iwu.edu). Nevertheless, these unique primary sources contain valuable perspectives for people interested in 20th century America theatre and film. 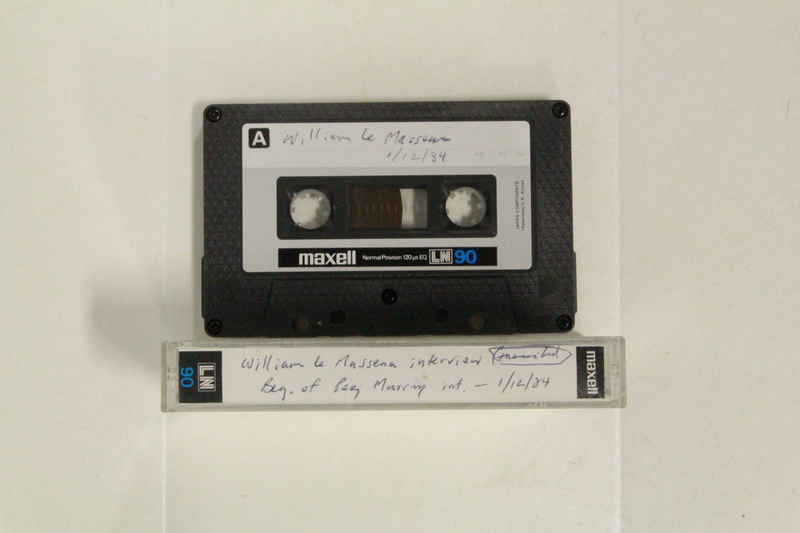 The following guest post was researched and written by Archives Student Assistant Noah Jett, Class of 2020, who recently completed comprehensive descriptions of the recordings. The digitized originals were edited by Archives Student Assistant Giovanni Garcia in order to make it possible to hear a single interview subject in a single audio recording. Emeritus Professor Jared Brown taught theater full time at IWU from 1989-2002, and was director of the School of Theater Arts from 1989-1999. Brown has had a lifelong connection with show business. In addition to his own career as a professor, he has written multiple biographies on notable film and theater figures to positive receptions, and his father was a radio and film star who was blacklisted in the McCarthy era. These biographies include: The Fabulous Lunts: A Biography of Alfred Lunt and Lynn Fontanne, Moss Hart: A Prince of the Theatre, Zero Mostel: A Biography, and Alan J. Pakula: His Films and His Life (abstracts for all are available below). Brown chose his biographical subjects not just because they were important to theater or film, but because he felt they had been neglected in literature, and were being forgotten by the public despite their contributions. Upon completion of his books, Jared Brown designated Illinois Wesleyan University’s Special Collections as the repository for all of his research materials. The sources are primarily original interviews with people who knew or worked with the research subjects, including actors, directors, writers, and producers from multiple generations of Hollywood. Also included are correspondences, broadcast interviews, and recorded performances. These materials possess a wealth of knowledge on their subjects, and would be beneficial to researchers, or to anyone interested in seeing firsthand the process of researching a comprehensive biography. These sources contain all descriptive information that was provided to the library, as well as descriptive notes on the content created during a 2018 collection analysis by this author. In Moss Hart: A Prince of the Theatre, Brown explores the life and career of theatre director and playwright Moss Hart. Hart was known for his long time partnership with George S. Kaufman, who wrote many of his plays. Hart’s biggest success and surviving legacy was his direction of the original My Fair Lady in 1956, which played for over seven years and won Hart a Tony award for best director. He also wrote scripts for films, such as A Star is born and Gentleman’s Agreement. Moss Hart: A Prince of the Theatre is one of the foremost biographies on Hart, and the only one listed on Hart’s Wikipedia page. In The Fabulous Lunts, Brown recounts the glamorous lives of Alfred Lunt and Lynn Fontanne, two of the original superstars of show business who are widely regarded as the best acting duo in the 20th century American theater. The Lunts are known for their incredible stagecraft and acting technique, and Brown explores in detail how this is the result of their hard work and dedication. Despite their stardom, and their reputation for class and elegance, the Lunts resided in a country home in Genesee Depot in Waukesha County, Wisconsin, Alfred Lunt having attended nearby Carroll College. The Fabulous Lunts is a comprehensive biography of the duo, discussing both their exceptional talent in the theater and the personalities that left them so fondly remembered by everyone who knew them. Zero Mostel: A Biography is an attempt to pin down the truth about Samuel “Zero” Mostel, an actor, comedian, and artist most well known for being the original “Tevye” in Fiddler on the Roof. Described as irreverent, boisterous, and exuberant, Mostel was a polarizing figure who garnered strong feelings from everyone who knew him. Mostel had a tendency towards storytelling and exaggerations, but Jared Brown sifted through story after story until his book represented the closest thing to the truth as could be found. Mostel was also a victim of the McCarthy era blacklisting, but he is one of the few who survived, and even went on to have a greater career afterwards. Alan J. Pakula: His Films and his Life is an extensive insight into the life of a talented and influential, but widely forgotten director. Pakula’s notable films include his “paranoia trilogy”: Klute, The Parallax View, and All the President’s Men, for which he won an academy award. He also directed Sophie’s Choice, and produced To Kill a Mockingbird. Pakula died tragically in a traffic collision in 1998, and was fondly remembered by all who knew him as a deeply intelligent and caring man. In this biography, Jared Brown discusses Pakula’s life and how he came to have such keen psychological insights, as well as how his directing career could be so successful yet so largely forgotten. This entry was posted in Cultural Studies, Faculty, Unexplored collections and tagged audio recordings, film, primary sources, theater by Meg Miner. Bookmark the permalink.